A new apron for me! A new apron this week - a "clothespin" apron, so named because of it's entire front being essentially one big pocket to carry them in. Or instead of clothespins - for instance - legos. Or cheerios... or metal screws and guitar picks... lone socks, children's underwear, lollipop wrappers, bits of string, oddly shaped discarded crayon ends, basically any of the miscellaneous what-nots I find laying on the ground while I'm cleaning up. It is an extremely useful pocket, it turns out! I followed this free pattern over at the Seasoned Homemaker. I love free patterns! And the fabric is called "Chick Chick" by Nancy Mims for Robert Kaufman. I'm not sure it gets much better than polka dots AND chickens at the same time. And now - I'll be enjoying the weekend at home, cooking a ham dinner, hiding eggs, making some Easter lollipops with my new candy molds, reading, knitting, walking, and playing with the boys... It's going to be a great weekend I think! Enjoy yours... See you Monday! My sister Corinne is here with a guest post this morning! Our most recent project, however, was not one of these thrifty finds. It was even better because it was free! It’s our new headboard, which we fashioned from a couple of old pallets, some plywood, and a wee bit of leftover paint. I shouldn’t say that it was completely free. First, as you'll notice in the pictures, I rely heavily on the handiwork of my handsome husband, and the materials that he has available to him at work (ie: pallets and plywood). And second, I bought the reading lamps at IKEA for $14.99 a piece. I couldn’t resist the thought of pulling on a little string right above my head when I was ready to go to sleep. Ultimate laziness, but so worth it! And here’s something I actually did find while schnauzing around the used furniture store! I covered the seat cushion with the best fabric ever… a lovely mélange of pink and purple hearts, ribbons, and of course- skulls! Thanks to my sister for inviting me here for a visit to Green Mittens world. Happy schnauzing everyone! He wants to eat them right after I buy them. When they are still green. I tell him - "No - not ready"
I say "Fine - eat it - you'll see..."
spits it out on the table and walks away. I purse my lips, and breathe. I pick up the banana and begin cutting slices of it onto my cereal. He asks for a banana. I say "OK" - and I give him one. "What do you mean it's mushy? It's perfect! Eat it!" He spits it out on the table and walks away. He enters the room and asks for a banana. My eyes widen in disbelief. I say "No way! No sir! I just gave you a banana and you spit it out." He pleads for a banana. I close my eyes, a silent prayer to the universe for patience. I hand him a banana. It has a small, brown spot. and I will cut off the brown part"
He is skeptical but he hands it over. I cut off the offending brown-ness. I hand it back to him. I go outside to check on him. He is playing on the swingset. 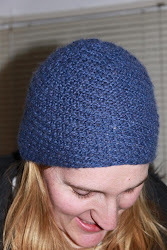 Last week I knit a hat for myself that was claimed by my son before I could even finish weaving in the ends. So I decided to knit another one. For myself. The "Z is for Zigzag" Hat. Yarn = 1 main color (MC) and 2 contrasting colors (CC1, and CC2) of sport weight yarn. Gauge = 27 stitches and 32 rows = 4" square in zigzag pattern. Using Main Color, cast on 120 stitches, (or other multiple of 12 stitches to achieve your desired fit). 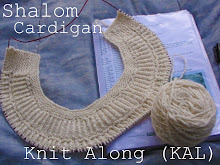 Join for working in the round, and work for 1 inch in 1x1 ribbing. Switch to Contrast Color #1, and work Rounds 1 and 2 in Zig Zag Pattern. Round 3 = *K1, M1, K2, SSK, K2tog, K2, M1, K1*, repeat between * * across round. Round 3 = *K1, M1, K1, SSK, K2tog, K1, M1, K1*, repeat between * * across round. Break yarn and pull end through remaining 10 stitches. Hide hat from your children (if applicable). If you end up making this hat, or if you find any errors in the pattern, or have any questions, please let me know! Reading: This week I finished my book club book for the month, which was Child 44. Very good, but not at all the "feel good" book of the year! Depressing. So now I'm reading something "fun" - Catching Fire. Posted along with Ginny at Small Things. I am so pleased by such a simple thing as breakfast... Mike's home made bread, dipped in the eggs from our chickens, fried up and topped with our own maple syrup. Ahhh... This is what it's all about. I thought today was a good day for a sewing update. First off, the quilt is finally finished. I think the birthday boy is pretty happy with it. and I'm pretty happy to check that off of my to-do list finally. Some things stay on that list for a very long time!! And now, of course, it's time to fill the list back up again. Notice how the center of the circles is chickens standing on eggs?! I love that!! And then, the last thing I wanted to do was show you my new benches in the craft room. Previously they were electronics work benches, now being utilized as a cutting and sewing table. And there is a shelf running along the bottom of each for storing stuff.